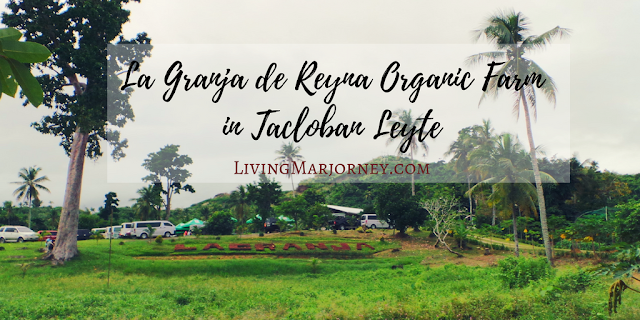 La Granja De Reyna was the second farm we visited in Leyte sometime in November. 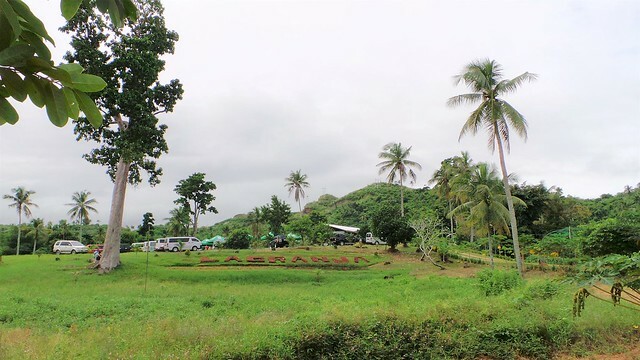 The 51 hectares farm located along Maharlika Highway in Bagacay, Tacloban City is owned and managed by Martina Reyna, a mom, wife and a proud farmer. We arrived and La Granja was hosting an event for Organikong Magsasaka ng Rehiyon Otso (OMRO) Value for Money: Investment for Health initiative. It's a gathering of farmers and consumers within the province who wants to know more about organic farming. What's great? It was a feast of everything organic including organic lechon which tasted really good. 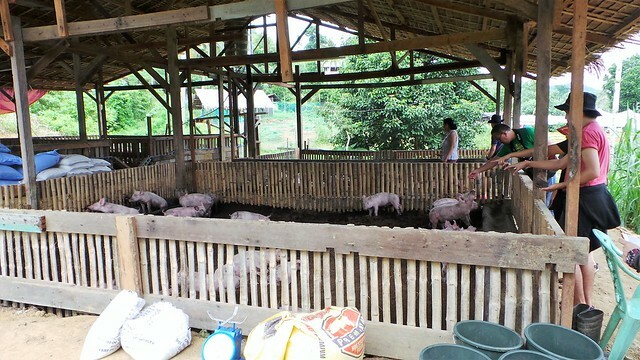 With the assistance of Agricultural Training Institute (ATI), La Granja serves as a training site for farmers example of this is the one they hosted in partnership with OMRO. La Granja is a Good Agricultural Practices (GAP) Certified farm. It is also a member of the international group Worldwide Organization of Organic Farmers (WOOF). That's San Juanico strait! Breathtaking view atop of La Granja organic farm. Early morning we had a quick tour around the farm. 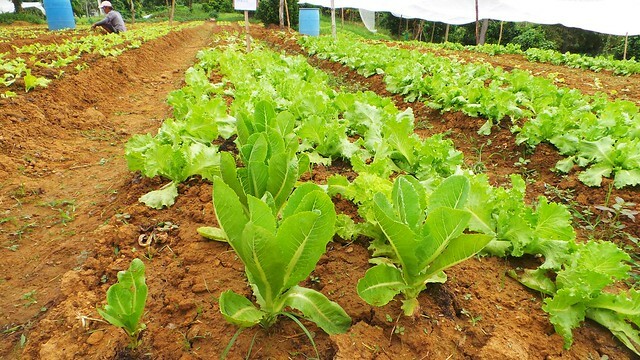 La Granja grows high value crops for salad. You could also find 13 varieties of fruit trees including jackfruit, lansones, durian and marang (which is more popular in the province of Davao). There's also several kinds of livestock. 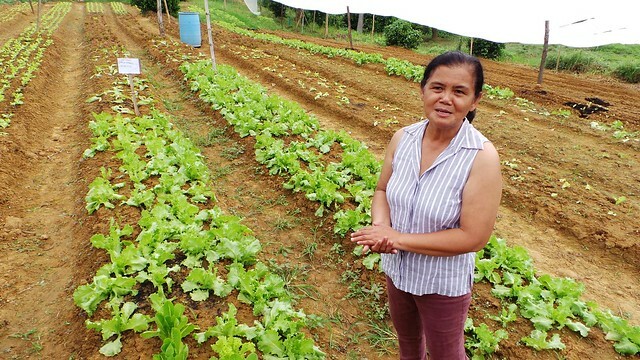 Martina Reyna together with other #womenwhofarm believes that no Filipino family would be hungry if they just work hard in the farm. There's no need to go to other places to earn, she added. If we plant, we reap. During the interview, I noticed her passion and love towards farming. Her kids were all professionals, she could just spend her time traveling but she finds real happiness and joy in the farm. Her morning starts going around which also serves as her routine exercise. That day, they set-up booths and sell organic produce at a very affordable price. I was overwhelmed if only I could bring all these in Manila. Organic lettuce here are sold at P160 per kilogram, sitaw at P15. The future is a result of the seeds we sow. 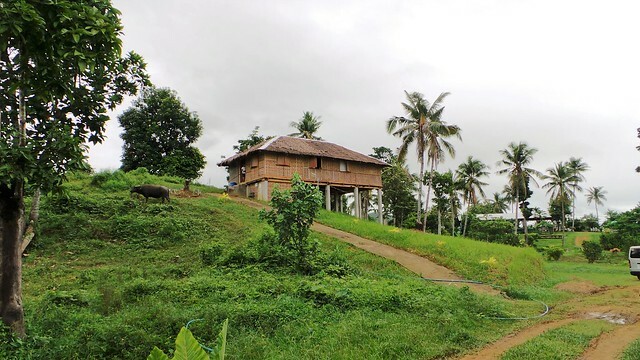 La Granja de Reyna stands strong and serves as an inspiration to many folks of Tacloban. 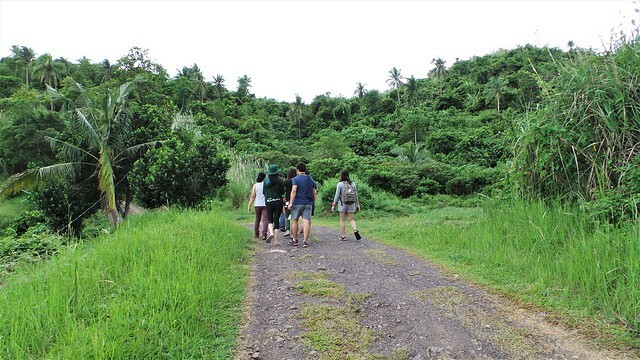 The farm was also hit and devastated by typhoon Yolanda. Tina never lose hope and re-built the farm. 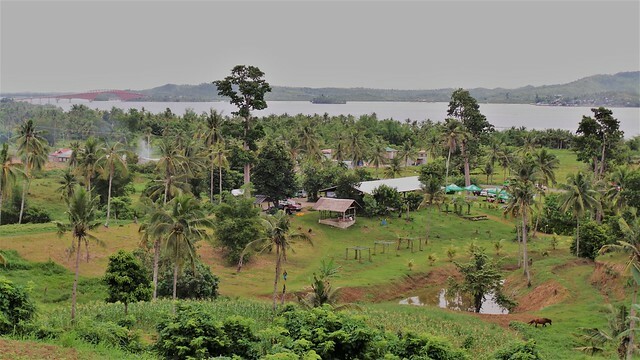 Today, La Granja supplies crops in Tacloban and many provinces. 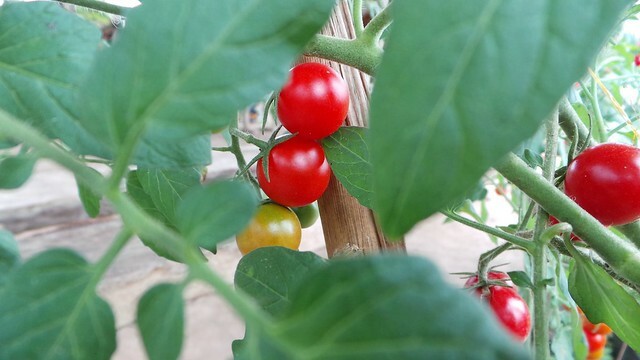 It also supplies vegetables to a popular Chinese fast food in the country and nearby restaurant in Tacloban.